Terence originally trained as a music and maths teacher and furthered his training as a musician at the Queensland Conservatorium of Music. After teaching for three years Terence returned to university to study science. It was during this time that he developed an interest in psychology. Over the next seven years his investigations into psycho-analytical approaches, Gurdjieffian and Sufi material, and studies of the enneagram, led Terence to Gestalt Therapy. 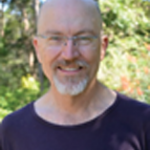 More recently he has practised, taught psychology and Gestalt psychotherapy to the general public, and TAFE and UQ College students. Terence says, “In my own life Gestalt has opened up avenues for creative expression. For many years I have performed in, and directed plays and many other concert events. I have experimented with using Gestalt techniques in directing Shakespearean plays. Terence has helped me in resolving long-held angst, depression and feelings of low-self worth and in generally getting un-stuck. Assisting issues ranging from ego to existential and beyond he has proven to be a skilful facilitator in my process. I’ve taken skills away from our time together. I particularly enjoy our Gestalt Therapy sessions and I regularly notice benefits unfolding even weeks after a session with him, flowing into other areas of my life quite serendipitously and very welcome. During the Gestalt course, Terence’s clear and gentle presence created a safe and nurturing environment which I found incredibly supportive. I found Terence’s facilitation to be warm, honest and enlightening, allowing me to explore and awaken to deeper parts of myself… I was able to deepen and improve in my relationships with others and, most importantly, be more loving with myself –Thank you Terence.